Eye makeup remover is one of those day to day essentials that if you wear makeup then you pretty much need it in your life. The thing about eye makeup remover is that you don’t need it to be anything more than effective really. You want it to work, remove make-up and not sting your eyes at the same time. Not leave any residue behind and ideally have packaging that makes this all easy and minimal mess. Which is what brings me to talk about the Vichy Eye Makeup Remover. Essentially this is a simple bi-phase eye make-up remover, which means it’s two ‘layers’. So you give it a shake and it’s ready to use. A little dose onto a cotton pad and you’re good to go. I find one pad for both eyes to remove mascara. Two perhaps if you have a lot of make-up on. It removes makeup a breeze, including waterproof mascara, leaves the eye clean with no residue. The packaging is simple but doesn’t leak or drip in the way others I’ve tried have done. Bonus points for this. It’s also a really reasonable price – as frankly for an essential, who wants to spend a load of money on something as a basic. 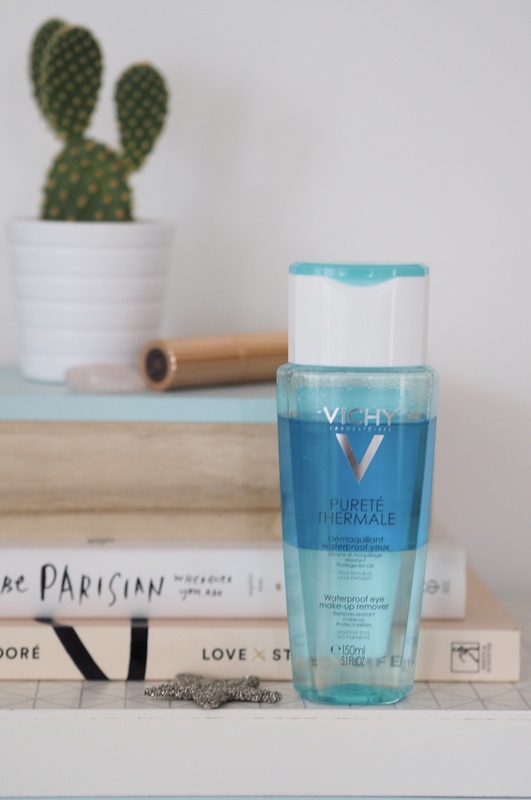 You just want to find something that works and is effective and doesn’t break the bank and this from Vichy is a perfect option. Not at all, very gentle – I have sensitive eyes too so can recommend this. This is amazing…I have seen this eye makeup remover but was confused for buy it or not. But, this article have featured all their pros and cons very efficiently. Thanks for sharing. Now, I’ll confidently buy it.Thanks a lot.